If you're after a bit of extra assurance with your PS4 deals then John Lewis is a solid bet as it includes a two-year warranty on its consoles. Spider-Man has been out since late last year but still commands a high price on its own, so this bundle is a great cash saver. Just want the PS4 Slim on it's own? Well we'd recommend one of the bundles above as the discount on the big games makes it worth spending slightly more. 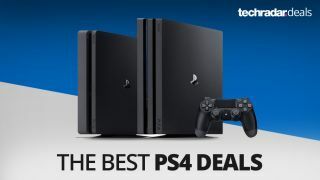 If they're not for you though we've found the best prices for standalone consoles this week to be at ShopTo's eBay store where you can get a black PS4 Slim for £229.99, or the stylish white PS4 Slim for £239.99.